Nokia 8 will be presented by Nokia on August 16 at an event to be held live from London, UK. It is no longer a shadow of a doubt, the official presentation of Nokia 8 is more than imminent. The recent appearance of the flagship on the site of the Finnish giant has only confirmed its coming on the market. A planned arrival very precisely on August 16, Nokia having informed it through invitations sent to the press. In addition to preparing a brand new 100% borderless smartphone , which remains totally unknown for now, Nokia is dedicated to the tasks related to the preparation of its future flagship, the Nokia 8. Everything is done with the utmost care of the Finnish giant who marks his return to the market through this model. an event to be held live from London, UK. The recent images of the device and the many rumors related to its data sheet have only reinforced the idea of ​​very soon a smartphone handsome and handsome. Speaking of this, it will not be long to wait because it will soon be possible to acquire it! 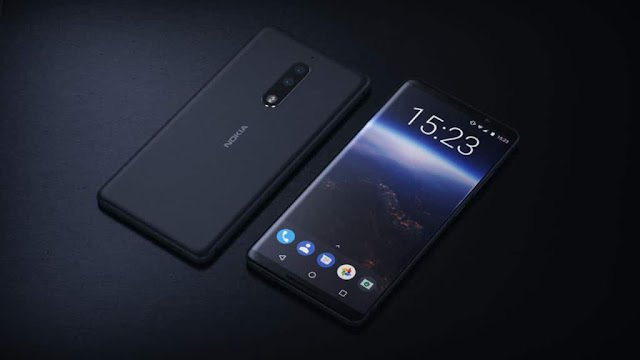 First terminal to benefit from a dual photo sensor stamped Carl Zeiss , Smartphone will be officially presented by Nokia on August 16 at an event to be held live from London, UK . Information obtained through our colleagues from TheVerge , who specify that HMD has already started sending invitations to the media in such a way that they are invited for the show. Read Also : Nokia 8 flagship Android: what we know about the first NOKIA Smartphone! Too much doubt to have now, the future flagship of the Finnish giant will be well launched at this precise moment, ie in barely a month. The wait will therefore be very short duration for those who wish to acquire this beautiful and elegant smartphone. 16: 9 Curved and almost borderless screen, Snapdragon 835 processor, 6 GB of RAM, ... you will have understood, a beautiful baby potential! So come on August 16 to attend the official presentation of Smartphone which will finally reveal its beautiful curves and its final technical sheet. We're already hastening, and you?